FROM May 6, the Ravenglass & Eskdale Railway will be celebrating the return after nearly a century of a 122-year-old steam locomotive following the completion of an extensive restoration programme. Katie, an 0-4-0T built in 1896 by the engineer Sir Arthur Heywood for use on the Duke of Westminster’s private railway at his Eaton Hall estate in Cheshire, worked hard hauling coal and materials around the estate, as well as giving rides to local schoolchildren and even members of the Royal Family. In 1916, Katie was sold to the Ravenglass & Eskdale Railway, then newly converted from 3ft to 15in gauge. However, by then Katie was badly worn and its small boiler meant it struggled to raise enough steam to make the journey up the line. Sometimes passengers used to pick flowers or play cards while Katie stopped for a ‘blow up’. 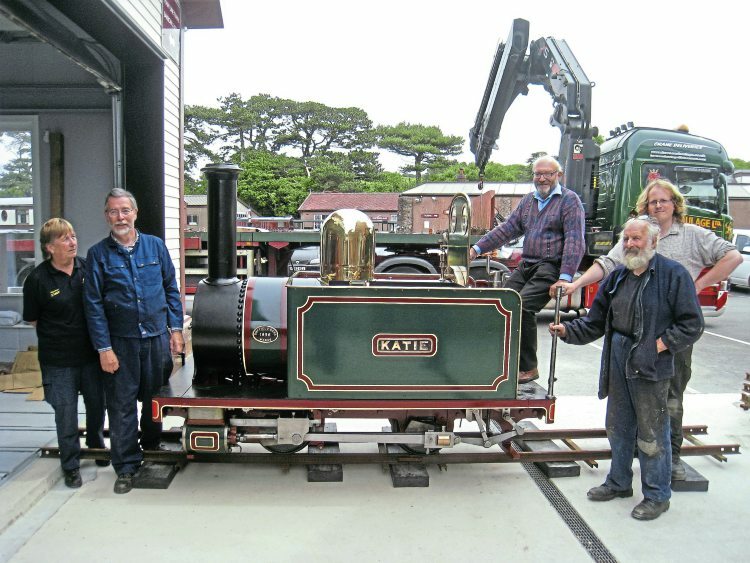 In 1919, Katie found a new home at the Llewellyn Miniature Railway in Southport, before moving to the Fairbourne Railway in Wales in 1923 where it was eventually dismantled.